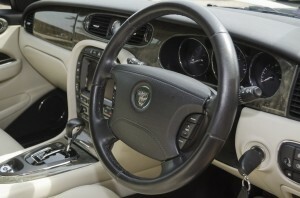 If you’re looking for style and luxury but perhaps something a little more discreet than either our Rolls Royce or Bentley Wedding cars then our Jaguar XJ8 should fit the bill perfectly. 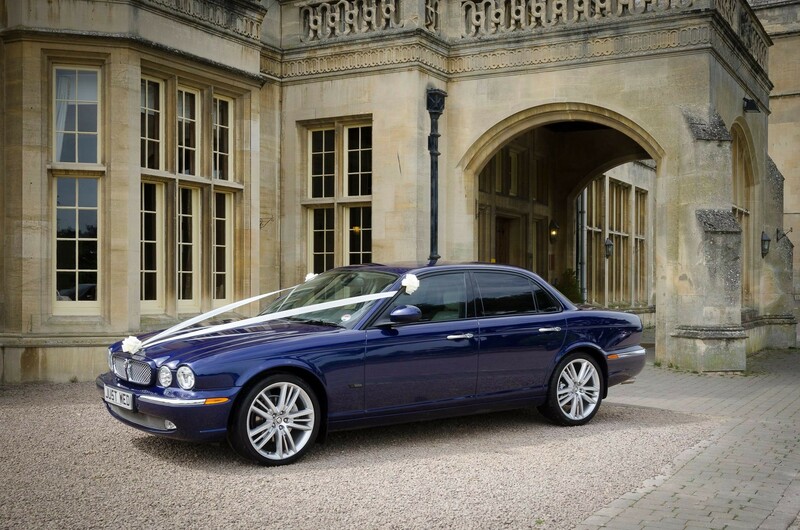 Resplendent in the same rich dark blue that works so well in the photographs as a background to a white dress, our Jaguar also has a sumptuous cream leather interior and as our other wedding cars can take from 1 to 4 passengers. 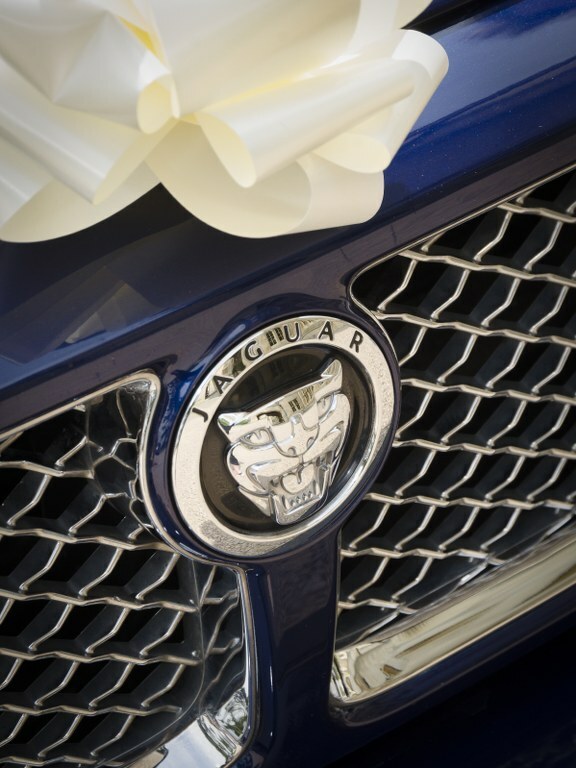 So either on its own or with our other cars the Jaguar will help to give you great memories of your special day. Thank you so much for the excellent service you provided for our wedding. 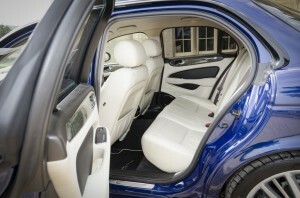 The car was beautiful and we had a lot of compliments from our guests – my Mum said she felt like royalty in it! The personailised ribbon and numberplate was a very special touch, thank you so much for that. I would not hesitate to recommend you to anyone – you really did help to make our day extraordinary.